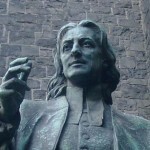 ― John Wesley founder of the Methodist movement. First, do no harm by thought, word or action. Second – do all the good you can in building up the body of Christ and in loving and serving others and all of creation. Methodists have been known for our emphasis on a personal faith, lived out in concrete ways in the world. We have historically valued well-informed and passionate preaching, worship that was lively, and small groups where people could grow in faith. Methodists have open hearts, and open minds and welcome anyone interested in learning more about the Christian faith. What to know more? Then check out The People of the United Methodist Church.